Obituary for Daniel J. Fifield | Kostanski Funeral Home, Inc.
Daniel J. Fifield, 44, of Depot Road died Sunday, March 24, 2019 at the Cooley Dickinson Hospital in Northampton. He was born in Northampton on January 26, 1975, the son of Marcus Fifield and Barbara Fifield (Turner). He was a laborer at the Mitchell Concrete Company and in the winters, snow plowed. He loved the outdoors, working with machines and in the forest. He loved his many farm animals to the point that some even were kept warm in his kitchen on occasion. Among his survivors, Dan leaves his mother, Barbara L. Turner of Williamsburg; his father, Marcus Fifield of Northfield; his brother, David Fifield of San Francisco, CA; and his companion, Amy Mitchell of North Amherst. 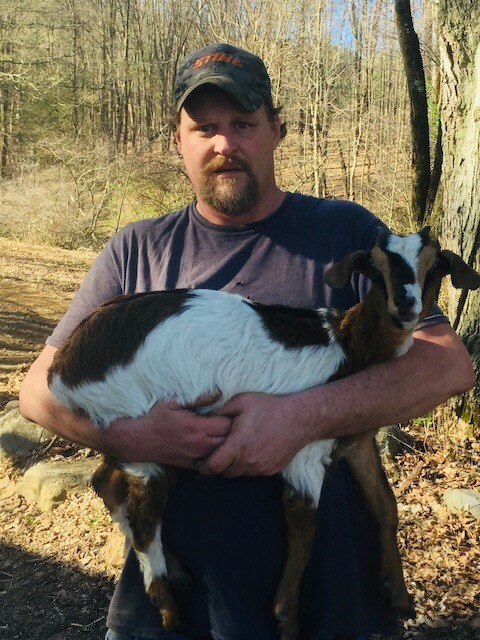 A memorial service for Daniel J. Fifield, 44, who died Sunday 3/24/19 will be held Saturday 4/6 at 11am at the Kostanski Funeral Home, 1 Kostanski Square, Turners Falls. Burial will be held the convenience of the family. A calling hour will be held Saturday morning (4/6) from 10am until the time of the service at the funeral home. Memorial contributions may be made to Dakin Humane Society PO Box 319, South Deerfield, MA 01373.